Dr. A’s Hair Restoration Centre offering on this special 21st-year celebration occasion gift a FREE* hair transplant procedure of 500 FUSE grafts worth USD 2000/-. That works out to US$4 a graft for FUE !!! 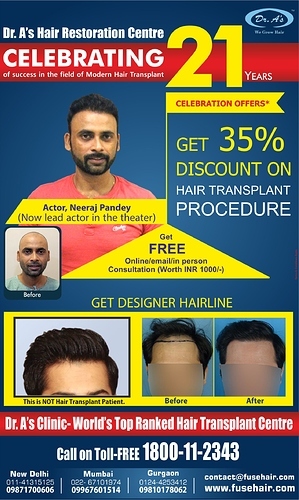 That’s how much your clinic charge for FUE in India?